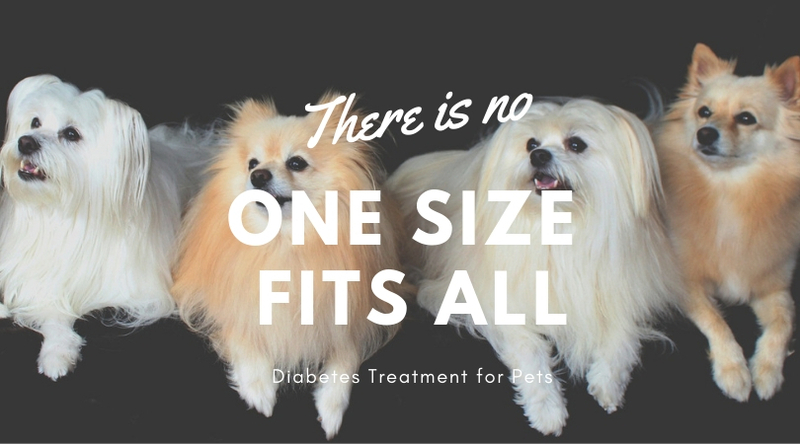 Just like in humans, diabetes mellitus in pets means your dog or cat’s body is unable to produce insulin. Therefore, "the body cannot convert glucose, or sugar, into energy," as the American Animal Hospital Association (AAHA) explains. "This creates toxic compounds called ketones that, if left untreated, can result in serious illness or death." Managing diabetes in pets usually requires the same techniques as in humans: insulin dosing, special diets, and plenty of exercise. All of this means, if your dog or cat is diagnosed with diabetes, you’ll work closely with your veterinarian to create a new healthy lifestyle for your pet and monitor it. Your pet will require strict meal times and a daily exercise regimen. You'll also learn about providing a daily insulin regimen, if needed. Fortunately, dogs can enjoy a high quality of life if you manage their diabetes well. Part of that management requires lifestyle changes in the diet and exercise realm. Most veterinarians will recommend a high-fiber, low carb diet for your dog because a high-fiber diet will keep your pet full without packing on the calories. Your veterinarian will probably recommend an increased exercise schedule, too. Depending on your dog’s age and overall health, you and your veterinary team will be able to determine if one longer walk or several shorter walks throughout the day would be better for his health. You’ll also learn how to test your dog’s blood sugar and manage insulin injections since most diabetic dogs require them daily. It’s all very doable. Managing diabetes in cats can be more challenging because cats are often more finicky than dogs. Diet-wise, your veterinarian will likely recommend a high-protein, low carb diet because protein keeps your cat full. 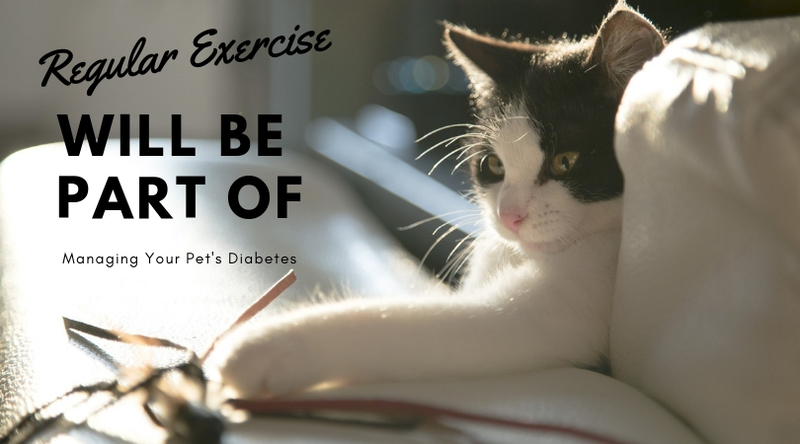 Yes, your cat needs exercise, though you may not be likely to put Fluffy on a leash and take a walk. Alternate ways to get your cat moving include playing "chase" or "pounce" with a feather toy. If your cat likes catnip, try offering toys stuffed with it. Know that while kittens are happy to entertain themselves, adult cats will usually require you to interact with them. Besides diet and exercise, you’ll also learn how to test your cat’s blood sugar at home and manage insulin injections. There are some oral medications that may work as well. You’ll veterinarian will discuss appropriate options with you. As you can see, managing diabetes requires monitoring and scheduling. You’ll want to monitor your pet’s diet and make sure they have a normal appetite because if they stop eating, that can mean a dangerous drop in blood sugar. You’ll need to maintain a regular meal schedule and check your pet’s glucose levels regularly. It’s typical to schedule regular visits to your veterinarian (likely every 3-4 months) for checkups. If you need to schedule one of those appointments, or if you have any questions about your pet's health, please contact us!